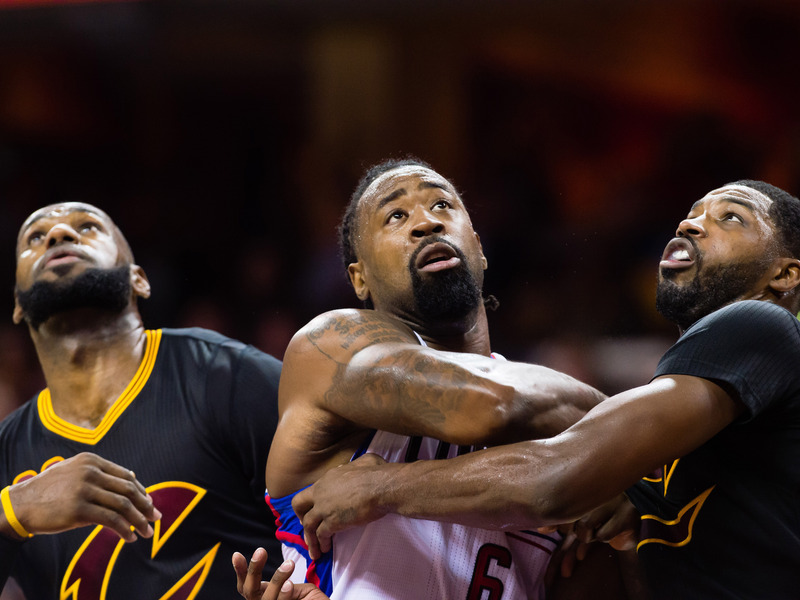 DeAndre Jordan Trade Scenarios: Which Destination Makes Sense? With another Clippers season set to implode, it makes sense for L.A. to finally part with DeAndre Jordan. The Crossover explores possible landing spots for the star center. A new-era Clippers season that started with a bang looks like it will end the same way as many past seasons—with most of the team’s good players injured. L.A. put together some fun wins before its roster started falling apart. Patrick Beverley, the human equivalent of the Tasmanian Devil, is out for the season. Milos Teodosic, a slick-passing, 30-year-old rookie, hasn’t played since the second game of the season. Danilo Gallinari, my First Team Fun-When-Healthy forward, has played in only nine games. And Blake Griffin is expected to miss at least a month with a knee sprain. The Clips were already talent deficit after losing Chris Paul in the summer, and now with the team sliding toward the bottom of the West, trade rumors are heating up regarding DeAndre Jordan. The 29-year-old center is making $22.6 million on the third year of his contract, but is expected to decline his player option and become a free agent after the season. It makes too much sense for the Clippers to move him and kickstart their rebuild, so let’s look which of the rumored destinations would make the most sense. The Cavs come up when nearly any All-Star is on the trading block, and the team reportedly would consider moving Tristan Thompson for Jordan. Although Cleveland’s defense has been shoddy for two seasons now, Jordan may not be the solution. The Cavs actually do a slightly better job than the Clippers at defending shots in the restricted area. Cleveland’s issue is how often it allows opponents to get into the paint in the first place. Jordan can certainly provide elite backline defense, but even he can only do so much to slow down the parade of perimeter players abusing the Cavs lead-footed, frequently apathetic guards on their way to the hoop. And would Jordan help the Cavs beat the Warriors, anyway? It’s not like Golden State has ever had a problem with the Clippers. If anything, Cleveland needs another perimeter forward as opposed to a big. Oh, and this hypothetical trade should be a non-starter if L.A. asks for the Brooklyn pick. Moving Thompson for Jordan could be interesting from one aspect, however, and that’s a long-term play. Thompson has two years left on his deal after this season. If Cleveland can get his contract off the books, that could help the franchise clean up its cap sheet in the event LeBron leaves next summer. The Wizards would be an extremely intriguing option for Jordan. Pick-and-rolls with him and John Wall could be devastating and defensively Jordan can cover a lot more ground than Marcin Gortat. Essentially, this would be a great fit, but the Wizards would likely have to give up some lineup flexibility to acquire him. In a potential Jordan trade, Washington would almost definitely have to part ways with Markieff Morris to make the salaries work. (One imagines L.A. won’t simply take back Gortat or Ian Mahinmi, at least now that Doc Rivers is no longer GM.) Morris has struggled for much of this season after starting the year hurt. The Wiz have performed much better with Kelly Oubre taking his spot in the starting lineup, so much so that Morris would probably be better coming off on the bench. Morris, however, does provide value as a small-ball center, something he flashed during the Wiz’s most recent postseason run. It‘s possible his potential departure could hurt the Wizards when trying to match up with teams who play smaller in the playoffs, which is basically everyone. And don’t forget any team acquiring Jordan will also have to deal with his free-throw struggles down the stretch. Would that trade off ultimately benefit the Wizards? Washington would be a good fit for Jordan, who clearly thrives alongside elite point guards. But with the Wizards’ shaky depth, a trade would only make sense if they don’t give up too many important parts. The Bucks’ defense at least appears it should be better than middle of the road. Their length is terrifying, and guys like Eric Bledsoe, Giannis Antetokounmpo and John Henson are all rock-solid individual and team defenders. 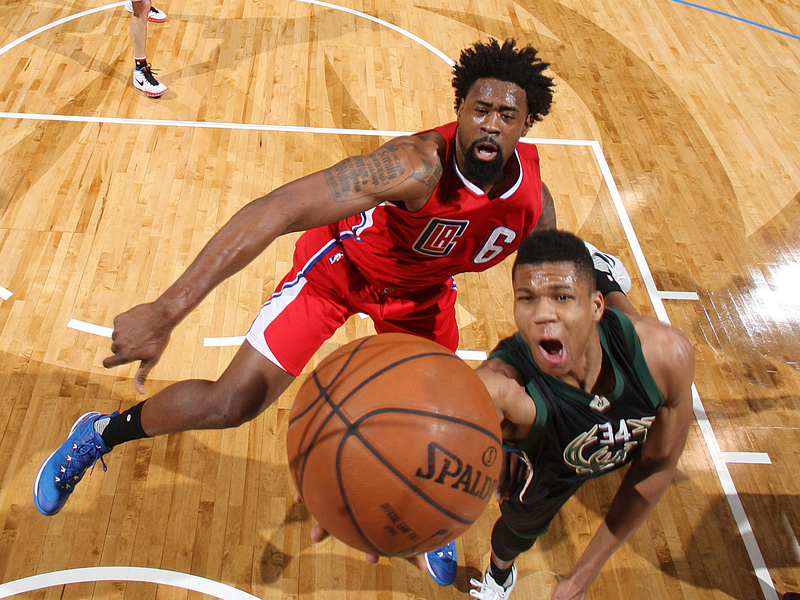 Still, Milwaukee’s defensive rating of 105.2 is only 16th-best in the NBA. Does Jordan fix their issues? Milwaukee’s starting five of Bledsoe, Middleton, Giannis, Henson and Tony Snell has a defensive rating of 96.5. Henson also anchors a lineup of Giannis, Snell, Bledsoe and Malcolm Brogdon that has a defensive rating of 75.1. The Bucks would likely have to part with Henson and Jabari Parker to acquire Jordan, which would be a slight gamble when the team can already put together some strong defensive lineups. Still, Jordan at his best is a better backline defender than anyone currently on Milwaukee’s roster, which means he could take those strong lineups and make them even tougher to score on. Jordan won’t help Milwaukee’s spacing issues, but he would provide a solid pick-and-roll partner for Bucks guards whenever Giannis needs a rest. And for a young team, acquiring someone who’s participated in some big-time playoff battles is almost always a plus. Milwaukee may not need Jordan as much as it appears on paper, but he would certainly have value playing alongside this upstart roster. The Raptors have popped up as one of the Jordan destinations, but Toronto needs to shift smaller instead of acquiring another big. Serge Ibaka should be the Raptors’ full-time center at this point. Lineups with him and Jonas Valanciunas together have never worked, and the fit between Ibaka and Jordan would likely only be marginally better. Toronto has been most successful this season when launching threes and pushing the pace. Jordan doesn’t bring them any closer to that. It’s also difficult to see how the Raptors would pull this trade off without involving a third team, because it would make no sense for the Clips to take Valanciunas back in this deal, and Toronto doesn’t have any other matching salaries that make sense. Jordan would be much needed here as a backline defender who can clean up Karl Towns’s mistakes. But the Wolves are thin on trade pieces, and I don’t know how they get anyone—the Clippers or a third team—to take on four years of Gorgui Dieng when the entire league is finding less and less use for centers. And it would be fairly complicated for the Wolves to make any big trades without finding a way to move Dieng’s salary.